Pho­tog­ra­phy pod­cast #36 focuses on think­ing about how dif­fer­ent types of light suit dif­fer­ent types of faces. We talk about how both short light­ing and side light­ing are good for rounder faces. We also talk about blem­ishes and baldness. Many thanks to Mark McCall for allow­ing me to use this image (and expla­na­tion below the image) clearly show­ing the the slim­ming effect of short light­ing and the broad­en­ing effect of broad light­ing on a model’s face. 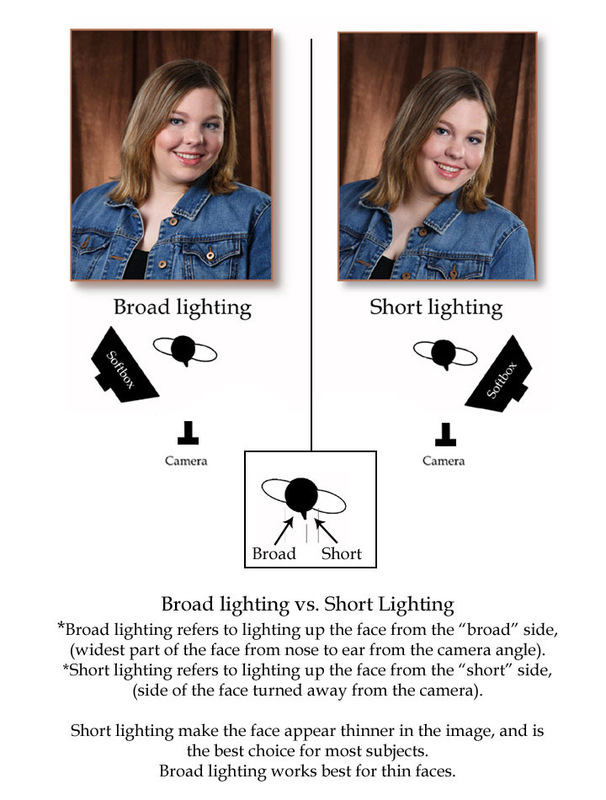 Broad light­ing refers to light­ing up the face from the “broad” side, (widest part of the face from nose to ear from the cam­era angle). Short light­ing makes the face appear thin­ner in the image, and is the best choice for most sub­jects. 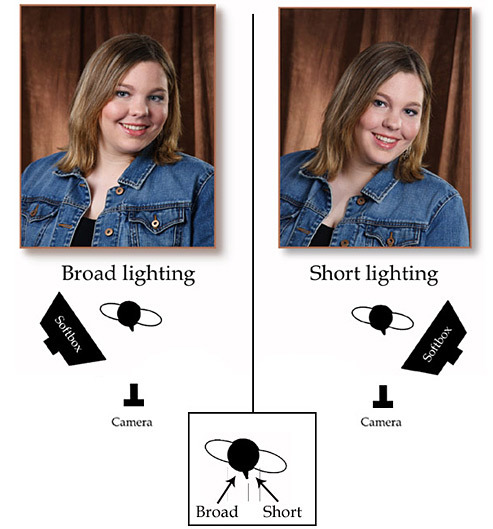 Broad light­ing works best for thin faces. Thanks as always for the com­ments by Yves Janse and Mikael. We LOVE com­ments and sug­ges­tions so please send more.